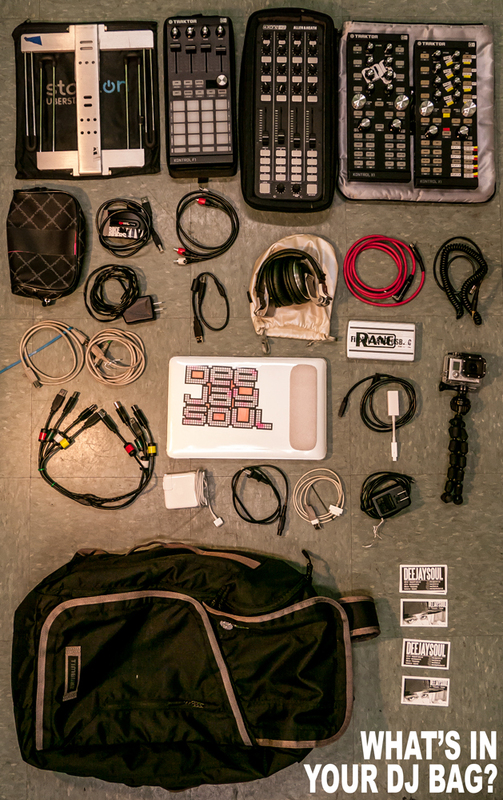 This is something I haven’t done in a while, showing what’s inside of my bag. This almost typical what I would use at a gig, unless I’m using CDJs or Turntables, but thats rare for me. I prefer to use controllers, since I can work on my own gear and not deal with mistreated/over used gear in most venues I have played in. *the knobs have been replaced with larger knobs.